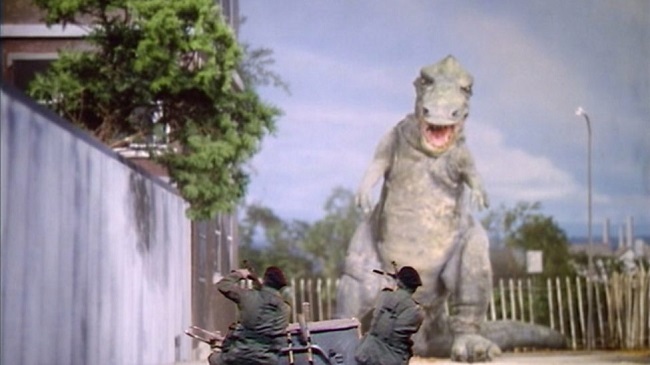 When it came time for Troughton to leave, things changed dramatically. It was a new decade and it was decided to bring the Doctor into the modern times. It was also decided that it was time to bring him back to Earth in a more lasting manner and the Doctor would face off against his first, real nemesis. And while he’d almost always had two companions with him, this time around he’d only travel with one… mostly. It’s genuinely difficult to understate just how important Jon Pertwee and his tenure as the Doctor is. Looking forward in time at the many incarnations that follow, all of them can at least partly be traced back to this era. A man of action now, Jon Pertwee infused the role with himself, essentially, and created a hitherto unseen version of the Doctor: a proactive one. No doubt influenced by his years in the military, Pertwee’s time as the Doctor would see him karate chopping, driving a number of vehicles and more physically tackle his obstacles. The time for running was over and the Doctor now willingly stood up against the evils of the world. If Hartnell was the Old Doctor and Troughton was the Running Doctor then Pertwee was the Action Doctor. Not that you should let that fool you, the Doctor has a keen, scientific mind and can think circles around some of the smartest people on Earth. Rather smugly too, happily not only telling them how good he is but also showing the tiny little earthlings at every given opportunity. And he was great at driving any vehicle, disguises, linguistics and history! In fact, there’s very little the Third Doctor can’t do or doesn’t know. I’ve also never been a fan of when the Doctor is just “too good”. It’s rare for this Doctor to be upstaged by anyone, his companions are there for show and nothing else. To me, companions should cover for everything the Doctor ISN’T good at but here… well, he could’ve been off on his own and most of the time the adventures probably would’ve been a lot smoother. But it was not only the change of actors that changed the Doctor, the format changed around the space vagrant as he no longer ventured into space. At the very least, not as often. Exiled to Earth for his crimes, the Time Lord found himself employed by UNIT, a branch of the military tasked with keeping track of and dealing with strange and alien events. 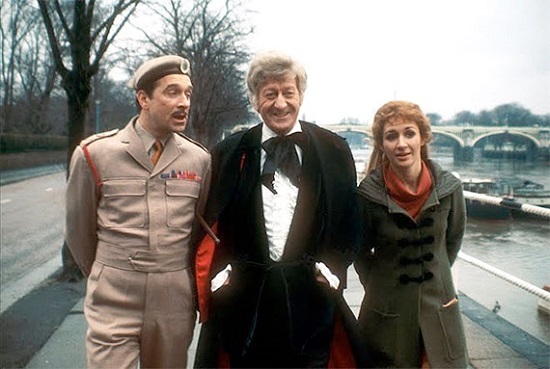 Together again with his old friend Brigadier Lethbridge-Stewart, the Doctor became the first and often only line of defense against beings threatening our planet. But alone he was not. UNIT comprised of many people and two soldiers would stand out from the crowd: Sergeant Benton and Captain Yates. These two, together with the Brigadier, was the beginning of the Doctor’s UNIT family. Be it against living plastic, primordial residents from under the earth or warriors from space, the Doctor had people he could somewhat rely on. My favorite companion of the two I’ll be talking about, Elizabeth Shaw was only around for a brief time. Well, 25 episodes but a mere season was simply not enough to get to know this lovely being. Smart, beautiful and snarky, what’s not to like about her? A scientific advisor for U.N.I.T., she’s tasked with taking care of the Doctor after his return and apparent metamorphis, to see if he’s the real deal or not. Initially doubtful of the Doctor’s story, she none the less becomes a close ally to the Doctor once she’s faced with some of the horrors of the universe. 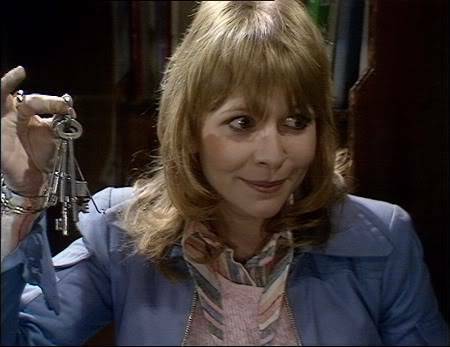 Liz Shaw is something unique in the Doctor Who-sphere, at least up until this point. Less of a companion to the Doctor and more of a partner, she would often challenge the Doctor’s intellect and demand explanations for what he’s doing. Not content with merely following him around and admiring him, she was as likely, if not more so, to get into trouble as the Doctor. Sadly she was unceremoniously written out of the show between seasons. Behind the camera, the actress who portrayed her, Caroline John, left the series when she became pregnant with her first child, though it had already been decided at that point not to bring her back. The show runners wanted someone younger, someone who could fawn of the Doctor and not challenge him as much. And most importantly, ask the really dumb questions. Coming on to replace Liz Shaw, Jo Grant was designed to be… I don’t want to say stupid but definitely less educated than her predecessor. Although she has a basic understanding of most subjects, she was certainly no match for the Doctor. Instead she was far more likely to act “irrationally” and end up in a lot of trouble, often needing to be rescued. She was also significantly easier on the eyes and I have no doubt that she was on a lot of young boys’ Christmas-lists during her run. The Doctor did have a third companion in his last series but I’ll talk about Sarah Jane Smith when I talk about the Fourth Doctor. To put it mildly, she didn’t make much of an impact in her brief time with the Third Doctor. But perhaps more importantly than the characters was how much new content the Third Doctor was responsible for introducing to the lore of Doctor Who. And that actually stuck around to this day. 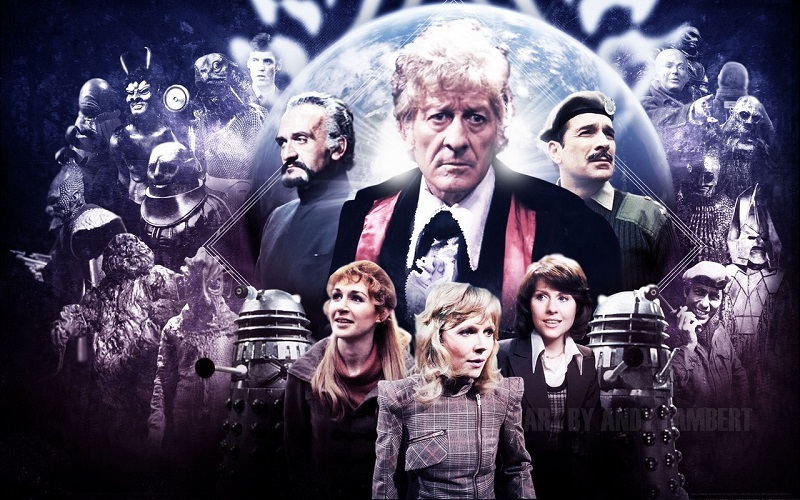 Not only did it introduce numerous races that continue to haunt the Doctor throughout his long life, but it also introduced THE villain of the show: The Master. 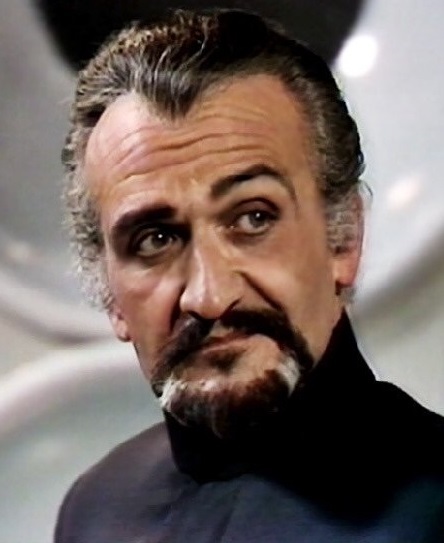 Roger Delgado as the Master is such an important thing it can’t really be glossed over. Before his untimely death in 1973, Delgado truly made the role a memorable one, another Time Lord who had no reason beyond wanting to cause mischief in various ways. First appearing in Terror of the Autons, the first serial of the second Third Doctor season, he would eventually go on to be a regular thorn in the side of the Doctor. But more than that, he was often portrayed as layered, at times reasoned with rather than defeated. Eventually his relationship with the Doctor would be significantly extended but hints were seen here already, with the Doctor hinting that they were once friends. 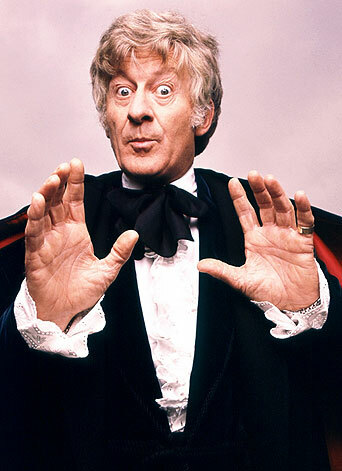 If the Third Doctor was flamboyant, then this Master was all class. His plans were often layered and more than they seemed and though he could be ruthless and monstrous, a part of me always liked the Master. A huge part of that is simply the acting of Roger Delgado. To call it “masterful” is to make light of his accomplishment in just how good of a fit for the role he was. Unfortunately his planned finale, “The Final Game”, never came to be as the actor portraying him passed away in a car crash. The Master would eventually return and the new series would continue his legacy as something of a dark reflection of the Doctor. But it’s not just the Master who lives on today. This was the first time we saw the Autons, Silurians and Sontarans not to mention that the Daleks were officially revived after having been absent for nearly five years. It was also the first time that the Doctor met past incarnations of himself and the series continued to deepen the lore of other creatures, such as the Ice Warriors and the Time Lords themselves. Much of what we take for granted about the Doctor and his adversaries can be traced back to this incarnation. Serials well worth checking out include “Spearhead from Space” and its more or less direct sequel “Terror of the Autons”, in fact all of season 8 is worth checking out, “Doctor Who and the Silurians”, “The Three Doctors”, “Day of the Daleks”, “The Curse of Peladon” and its sequel serial and “Invasion of the Dinosaurs” just because of how bad the special effects are. Many other things factored into how the Third Doctor’s serials were formatted. In an effort to limit the budget, it was decided that the Doctor would be exiled to Earth, his TARDIS crippled which obviously means that the amount of time-travelling and alien planets was kept to an absolute minimum. On one hand, this hurt the show as the more fantastical elements was what made it appealing. On the other hand, it was also decided to push the envelope in terms of horror, as it was described: “let’s really make them shiver”. And moving the majority of plots to Earth helps in this sense as it makes it more familiar, more real. Many of the best Doctor Who serials are the ones where you see what you know become irreversibly corrupted or destroyed. Take any invasion of the Earth plot, either by the Cybermen or the Daleks or the Autons or what have you, and immediately the stakes are higher. But seeing some of the weird things out there in the universe was a huge draw for me and while the show did eventually allow the Doctor back out, it rarely recaptured the insanity of the previous Doctors. But the reduced episode count, going from over 50 to around 25 allowed for significantly tighter storytelling and much more serialized content. Season 8 is virtually just one long serial depicting the Doctor’s rivalry with the Master. It also allowed characters to grow signficantly more, not only his companions get more characterization but also the supporting cast get more to do and the relationship between the characters continues to grow and deepen. The evolution of some of the supporting characters, like Mike Yates, is probably the first time Doctor Who took full advantage of its serialized storytelling and added signficant impact and consequences to what was happening in the different serials. Something we’ve seen significantly more of in the newer series. Hell, there was even talk about romance between characters at one point. So we have a lot to thank the Third Doctor for, if that wasn’t clear. Not only in terms of pure lore and adversaries it added to the franchise but also in terms of how it took advantage of the format it had been using for almost a decade. It’s safe to say the series wouldn’t be the Doctor Who we know today without the Third Doctor. And it was in color. But as all things must, according to the laws of the unvierse as we know them, the Third Doctor also had to end his tenure. Having served as the Doctor for five whole series, Jon Pertwee chose to step down from the role following the departure of Barry Letts as series producer, the death of Delgado and (supposedly) being denied a raise. 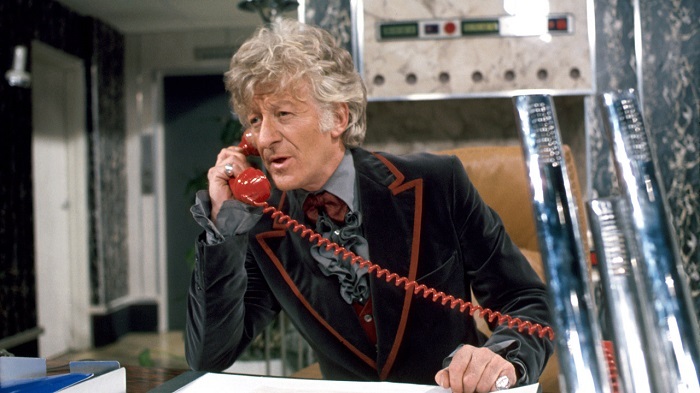 With Katy Manning having already left the year before and feeling himself becoming eternally associated with the role of Doctor Who, Pertwee handed in his resignation. Although the quality of “Planet of the Spiders” is arguable, his sendoff aimed to be as personal and as complete as possible. 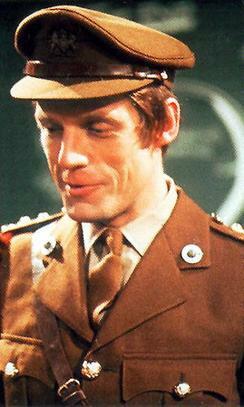 Calling back to various points during his tenure, Mike Yates returns after having been thrown out of UNIT and Jo Grant, although never seen on screen, makes her last contribution to the Doctor’s adventures. And it continued the tradition set in place when Hartnell left the show but called it for what it was: regeneration. This time surrounded by his friends, the Doctor collapsed onto the floor of his lab and changed in front of their very eyes. Jon Pertwee is important to Doctor Who. I may not have liked him as much as others but he and his “family” saved the show from cancellation. With declining ratings and excruciating working conditions, it’s a miracle the show was even given the opportunity. But it was and Jon Pertwee established the Doctor as so much more than a vagrant drifting through space, encountering adventure and fun where ever he went. The show allowed for serious drama and genuine stakes but more than that, the Doctor became a real hero. And it ushered into what many consider the golden era of Doctor Who.